Emojipedia's emoji archives now date back ten years, but how do you check what an emoji used to look like? Above: Click any 🔨 Hammer on Emojipedia to view its previous designs. 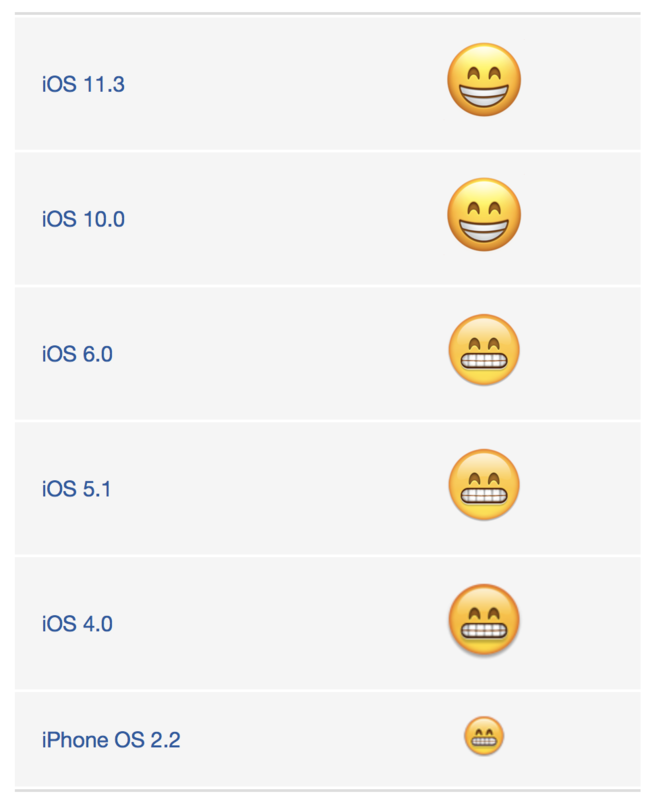 Above: History of 😁 on iOS, showing previous grimace-like designs. Above: History of the heart eyes emoji on Android shown on Emojipedia. 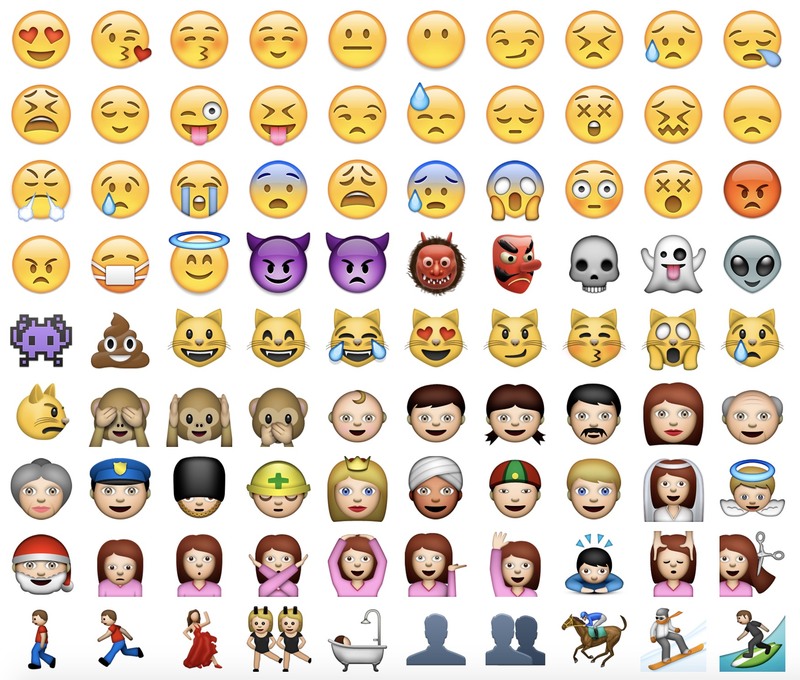 Keen for more emoji history? When viewing the emoji archive for a vendor, tap or click the version name (i.e. 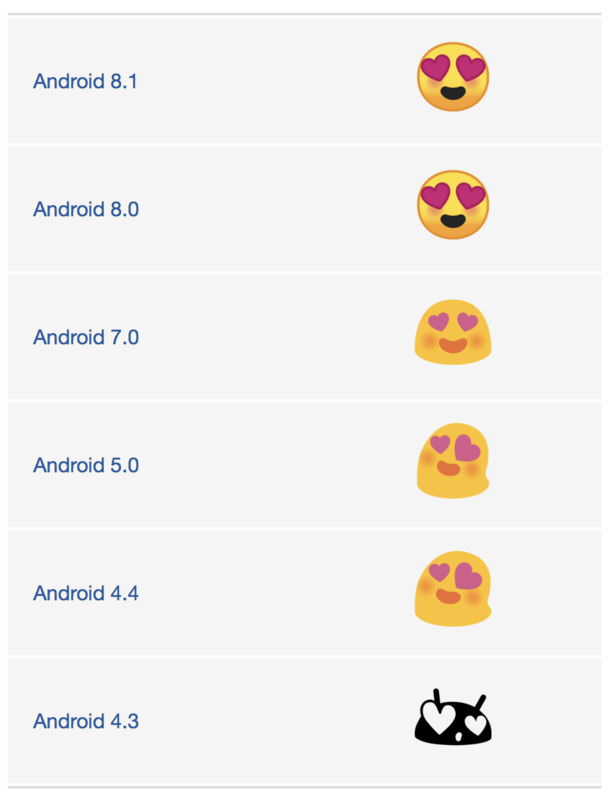 Android 4.3) to view all emojis from that release. 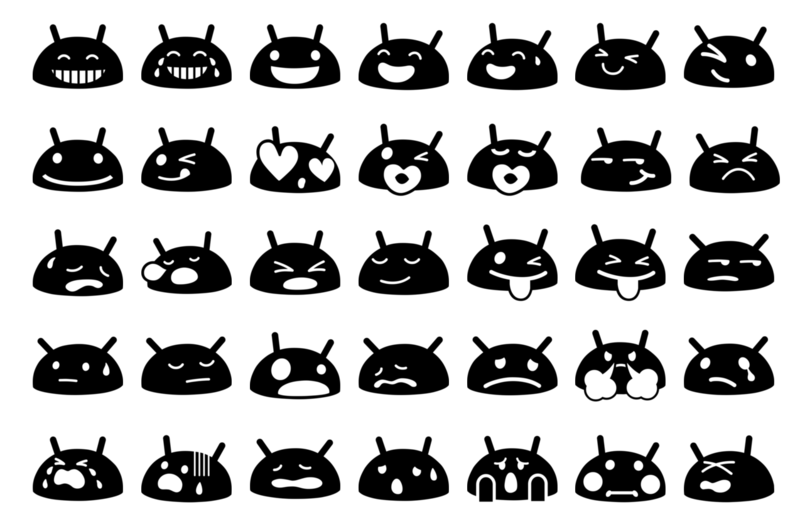 Above: Android had an alien-branded emoji font back in 2012, keeping in theme with the Android alien mascot. A popular emoji set that many look back on was iOS 5.1. This was the first emoji set from Apple that used the newly approved Unicode codepoints for emoji support. The designs used are similar to those dating back to 2008, but shown at an increased resolution compared to Apple's first emoji-supporting OS: iPhone OS 2.2. Above: iOS 5.1: one of the iconic early releases of Apple's emoji set. Here's a few other emojis with an interesting past on various platforms. Have a click through some of the archives to see how they evolved to their current designs: 💁 👯 💩 🐚 🎓. Other emoji archives that are interesting to check out are the first emoji sets from companies like Facebook, Microsoft, or Samsung.